There’s always questions when the founder of a famous winery leaves. Will the wine style change? Prices go up? Labels disappear? No matter how many times the new owner says that it will be ‘business as usual’, there’s no shaking the slight nervousness that comes with the unknown. While we don’t have any real answers about what will happen at Curly Flat now that founder Phillip Moraghan has exited the business, you’d have to say this is one situation where it should be fine. Phillip sold to ex-wife Jenny, so it’s not strictly a change of ownership as a buyout. Further, the new winemaker is Shadowfax’s Matt Harrop, who not only has plenty of experience making Macedon Ranges wines (for Shadowfax and his own label, Silent Way) but also has his own vineyard and property not far from Curly in Lancefield. In other words, Curly Flat is in safe (and talented) hands. What’s more, these new releases are *kisses fingers* superb. The ’16 Chardonnay, in particular, is built in a full-but-light-on-its-feet mode that I have much time for. 18 months in oak, pH 3.23, TA 7.5. Some of the 2016 Macedon Chardies can be a bit warm and shapeless but this Curly Flat shows all the width of a riper year and with perfectly poised acidity. Caramel, woodsmoke, oak spice, apple pie, peach and then a palate that is initially broad palate with a taut finish. Each time I came back to this the more pristine and grapefruity it looked, despite the richness of oak and fruit weight. This is lovely stuff – so chunky and plump but contained by grapefruit acidity (and elegant acidity as it went through malo). Footy player power, ballet dancer delicacy. Delicious full bodied Victorian Chardonnay. Best drinking: I like it now, but will look good for five years easily. 18.7/20, 95/100. 13.6%, $46. Would I buy it? Absolutely. 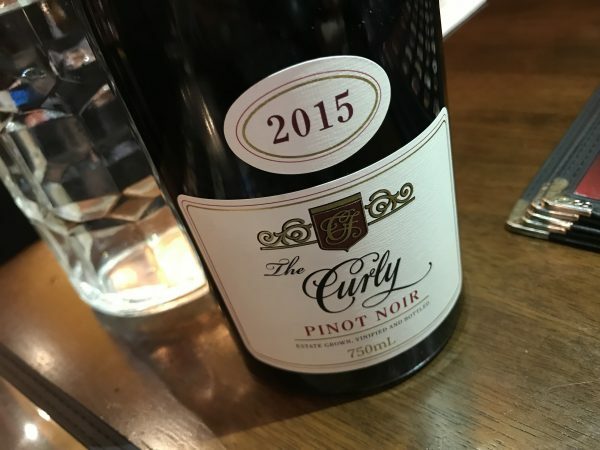 The top Pinot for Curly Flat and extremely serious. Spends 20 months in 100% new French oak and includes 100% whole bunches. The biggest challenge here is that we’re looking at a wine made for tomorrow. Molten raspberry nose with a fair dollop of coffeed oak and undertones of black spice. Plenty of oak width through the red fruited middle, but it has the stem tannins and the composure to back it up, with no shortage of bitter spice for good measure. High quality, ripe and powerful style with a Grand Cru Burgundy swagger. It’s a big oaky and chunky now, but time will be very kind. Best drinking: Wait. 2 years will be about right for the drinking window to open, then at least another six years. 18.5/20, 94/100. 14.1%, $66. Would I buy it? Yes, for the cellar. Another very substantial Pinot. If anything this might put some people off with the sturdiness of the structure, given that most $29 Pinot is bright and simple stuff. 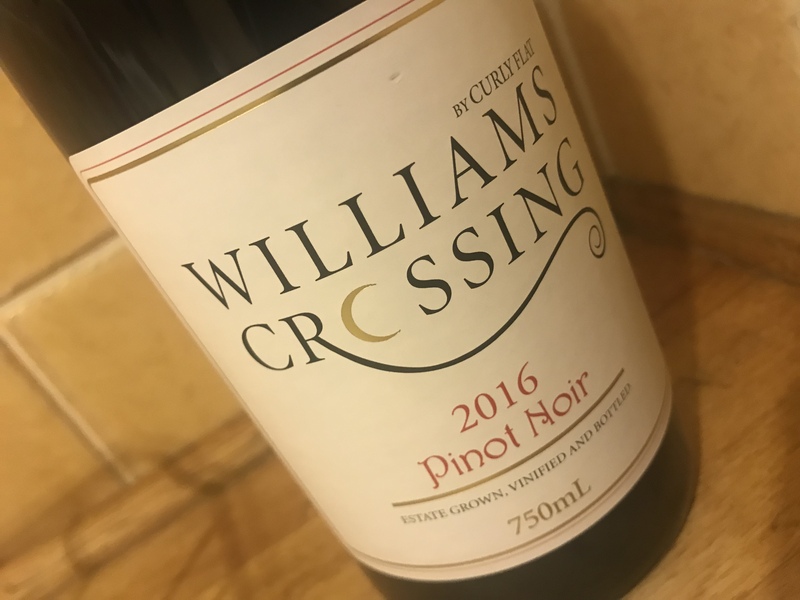 Bright ruby, there’s a biscuity barrel character over luscious and full red raspberry fruit and a flash of briary spice, the palate with raspberry kirsch meets biscuity oak and late, frisky dry tannins. Light bodied but not light and that raspberry fruit is a delight. Lots of oak and tannins for the price, but ultimately that delivers a wine that feels much more serious than the price suggests. A standout. Best drinking: Now to six years. 17.7/20, 92/100. 14.2%, $29. Would I buy it? Sure would. Ah, that’s sad news! I’d been wondering whether Phillip had moved on as he’s no longer listed on their website and there was no mention of him in recent correspondence with the winery. I had a fabulous long chat with Phillip at Pinotpalozza in Adelaide a few years ago and it cemented my love for Curly Flat. Fingers crossed things stay the same under the guidance of a new winemaker. Can’t wait to try the new releases at the cellar door during their Cutler & Co lunch next weekend! Thanks for those comments Jeremy. You are correct in that there was no communication of my exit. I exited as a result of a long long overdue and acrimonious divorce settlement. Together with my wife, Dr Rika Shimo-Moraghan, we recently purchased a new farm at Little Hampton, near Trentham. At 750 metres above sea level, it will be the second highest vineyard in the Macedon Ranges and the Pinot Noir and Chardonnay vines have been ordered for planting in spring 2020. Our new label is “Shimora”, as we are also making wines in Japan and importing them to Australia. 2016 is essentially my last vintage at Curly Flat because those wines were under my stewardship for the full process whereas the 2017 were only just through primary ferment when I departed. 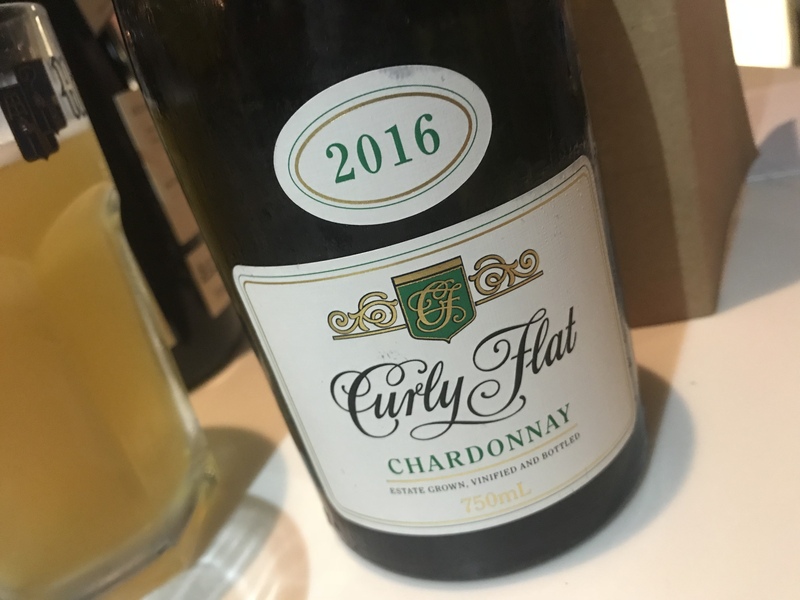 The 2016 wines may well be the best vintage of Curly Flat yet; big call I know. Only time will tell. UM? So Jenny wasn’t a founder? Was not a driving force? Doesn’t sound like the Jenny I met. Curly Flat isn’t in new hands. It continues in the hands that made it great. Not down playing her role Karen, more just a reflection that one of the founding hands aren’t there anymore. Hello Andrew, you are correct in saying the founder has departed. See my reply to Karen’s comment. And it is not just me who has departed; my Winery Manager of nine years,Matt Regan, has exited and is now at Paradigm Hill; my viticultural consultant of twenty years, Ben Rose (sister of Louisa of Yalumba) was not retained; and my winery consultant of ten years, Robert Paul, decided to not continue. Both Ben and Robert are working with us on the new project at Little Hampton, near Trentham. As I said in my reply to Jeremy, I think the 2016 wines, my last vintage of overseeing the whole process, may well turn out to be the best wines from my 19 years at the helm. Interesting term *kisses fingers*? Would you like to have a look at the Koshu wines Rika and I are producing in Japan? Karen, Seems that history has been rewritten. Jenifer was not on the scene when I started the Curly Flat project in 1988. Add to that Jenifer was not, and has never been, involved in the vineyard or winery activities at any level. Further, the business model of being self distributed, was developed and implemented by me; it helps to have an MBA from one of Europe’s top business schools (IMD Switzerland). Indeed, Curly Flat is in new hands and if you have doubts about that, do some Google research. That said, I don’t see any reason why the wine quality should diminish because Matt Harrop is a good winemaker and the vines are getting older, now hitting the 25 year mark that the Burgundians hail as the start of their adult life.